You will have to read it and decide for yourself. 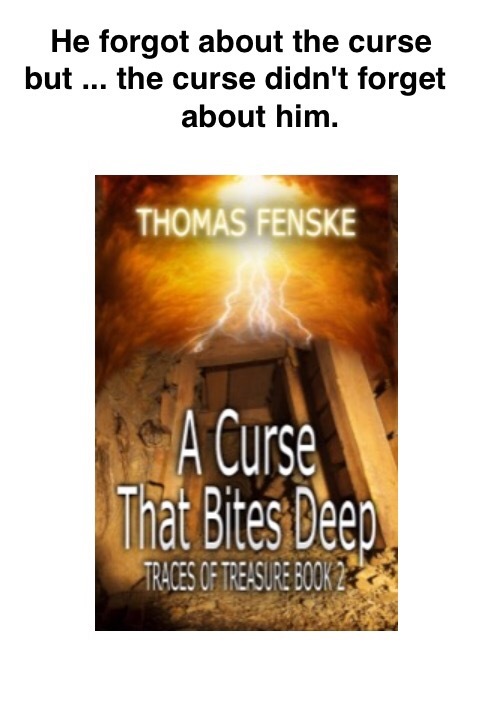 A Curse That Bites Deep, coming Saturday, October 1. If we were having coffee, I’d be in a big rush. “It’s all about the timing,” I’d say. Or maybe it’s fate. I’m not sure. These aren’t situations I’ve created. Well, I guess that’s not true. Yes, I’m responsible, but the timing difficulties aren’t my doing. You see, next Saturday, my lovely, talented daughter is getting married and we are in a whirlwind of final preparations. Here’s where fate comes in. That same day is the release date of my second novel. Yes, I had a hand in her creation and in the creation of the book, but the convergence of these dates is not my fault. Really. And in the middle of all of this, in the background, I’m trying to lay the groundwork for the release of my book. Thankfully, my publisher started doing “pre-release” earlier this year. With that, the book is already rolled out to the ebook retailers but in pre-release. That means readers are offered the opportunity to pre-purchase the book for a 25% discount. You just don’t get it until release day. It’s a good deal, really. It also allows me the opportunity to do some of the promotion work early. That’s the only thing that’s keeping me sane about it right now. And outlets like Facebook and WordPress will let me schedule posts so I can set up some “RELEASED TODAY” posts ahead of time … so I guess the release will be heralded with at least some fanfare. I am under strict orders to NOT mention the book at the wedding. I’m good with that. It’s my daughter’s special day, not mine. Anyway, I’ll be too busy being the gracious host. BUY IT! He’s got a wedding to pay for! If we were having coffee I’m sure I’d eventually end up talking about the video. “Video? I thought you were a writer,” you might ask. Then I’d explain that there is a lot of business to being a writer and videos are one of the newer things. “Oh, you mean like movie rights?” You might ask innocently. No, not movie rights, that’s another thing entirely. Getting started in this business requires a lot of outside work that does not include writing. Some of it does, though, like this blog. Having a blog is part of a writer’s business, and thankfully, it includes writing. I think every writer goes through this. One tends to see the dream of being published with a limited vision, like looking at the world through a paper towel tube. The concentration is on words and revision and editing. Once the contract is signed there is a new harsh reality to actually having a book published: you have to help market the danged thing. There is a LOT of competition from other writers, especially in the world of independent writers. A new author must master a number of different new skills, like blogging and tweeting to get the word out. Website design is another skill. Of course, if a writer has deep pockets, they can pay someone to do these things for them. The idea is to get yourself noticed ahead of all the others. Sadly, you are just one of many. “But what about the video?” you’d ask, thankfully getting me back on track. Video trailers are one of the latest things. I paid for my first one, one for my first book. I was really late in the game for that one. It’s not bad, a little funky. It was cheap. You get what you pay for. I was going to pay the same people for a new one. I had an idea and thought I’d work up something to more explain my idea. Decided to use Power Point to see if I could work out my idea. I’d never used it before. I’m fairly technical but I had never really had a reason to use it. Microsoft bundles it in with Office … so it was there. It didn’t take too long for me to realize that I could actually use this. A book trailer is generally text based, so why not? What I wanted to do required specific timing … visual effects that were timed with a specific musical score. This presentation software had functions that facilitated that. It took some time, especially to fine tune the timings, but I managed to work it out. Then I found out it would even export a video file. That’s a little funky, and it messed up the timing a little but I anticipated some of the blips and re-edited and managed to work through them. I’m sure I could use some other video tools but I already had this and gave it a shot. Is it perfect? Naw. Is it okay? I think so. 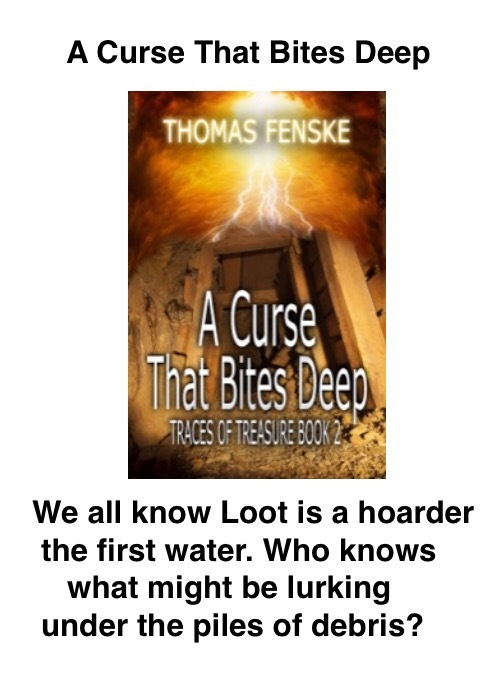 It introduces the story and builds suspense and introduces the mystery. The music is raw and edgy but I think it fits the video nicely. Check it out here … tell me what you think. Note: replaced link with newer version. 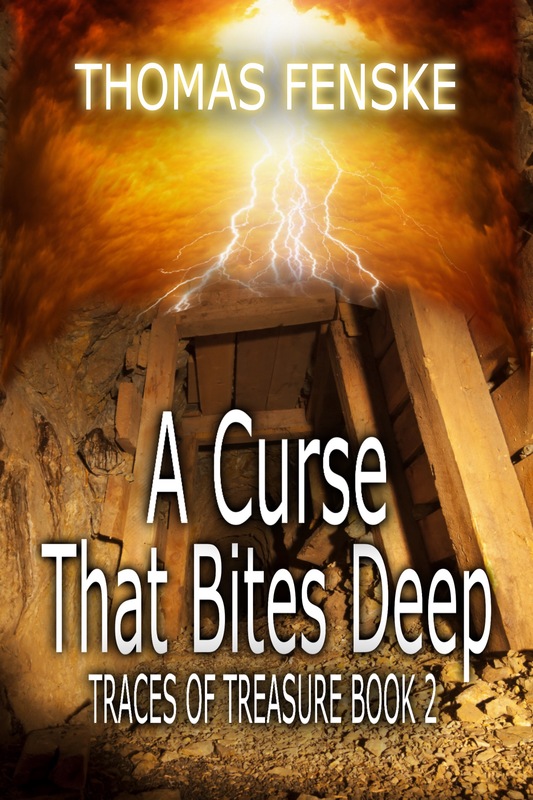 My latest novel, A Curse That Bites Deep, will be published October 1! My publisher, in association with most of the major eBook retailers, have decided to offer the a 25% discount on eBook pre-orders until the official release day. On the first of October it goes back to normal price. That’s a crisp one dollar bill off, folks! It will reserve your copy and it will be available on release day. This is a sequel to my debut novel, The Fever, and continues the story. Ah, but things take an evil turn in this one. People are dying, suspicions run high, and poor Sam seems to be in the thick of things. If you have already caught THE FEVER … you won’t want to miss this continuation. If you haven’t caught THE FEVER … yet … well, there is still time! If we were having coffee today, since I don’t have much to talk about I think I’d just listen. Well, I do, but these little sessions all seem to be just about me so for once I would just shut the heck up and let you take the lead. I’d want to hear about your woes and your joys and your concerns and your observations. I’d laugh at your jokes, and express sympathy for your sorrows. No matter what craziness you seemed to have going on in your life, I’d nod and commiserate. I’d do my best to bite my tongue and not tell you how much worse my situation(s) have been. We would hug or shake hands and part and you might feel just a bit better about getting it all off your chest for a change. I’d still be carrying my burdens, but they’ll keep for another week, don’t you think? Hopefully Amazon will get with the competition and activate it soon. Then I’ll be able to market the book in earnest. The book is a sequel to The Fever and everybody is back. Well for a while, anyway. There is evil afoot and Sam seems to be at the center of it all. 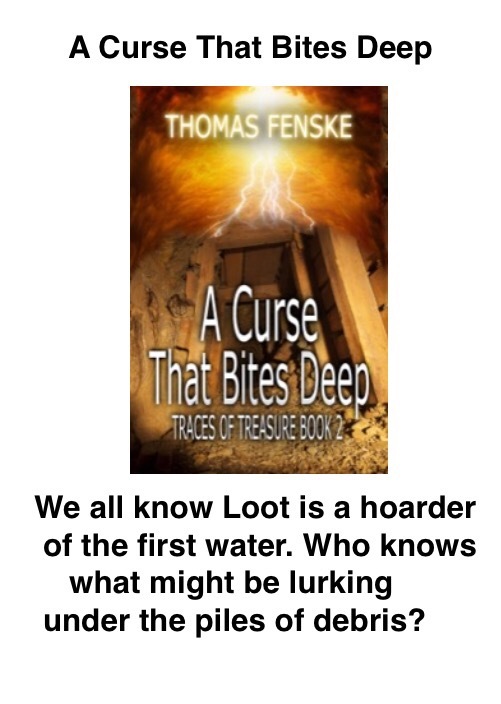 There are a few surprises and a few murders and a good mystery to be solved. If we were having coffee I’d have to tell you about the find. I mean, we all seem to spend half our lives trying to find something, either our glasses, the car keys, or the remote control. Sometimes it’s something we hung onto for six years and threw away as useless only last week. Sometimes, it is something we weren’t even looking for. Those are the best, especially when it is something significant or remarkable. That’s what this conversation is about, something I found that was both significant and remarkable. And I wasn’t looking for it, either, but I’m glad I know where it is now. What I found was the original note I wrote detailing the basic premise of my novel, The Fever. I remember the fact of writing it but here was the remarkable thing: I didn’t know I had dated it. I don’t date anything, but I did this time. It was written 30 years previously THAT SAME WEEK. I’d come across it from time to time but hadn’t seen it since long before I wrote the novel. The mere fact of writing it down pretty much committed the few facts I jotted down to memory, but the note itself had been floating around the house for quite a while. I hadn’t planned on writing anything that day in 1986. My wife and I had gone to San Antonio for a weekend getaway. She was several months pregnant and had decided to take a nap after some of our running around and I retired to the hotel bar to let her sleep for a short while. Bored, I asked for some stationery and wrote down a page of notes. The novel has all of that, although I later found a bit of Texas folklore to use as the goal — not sure how I concocted the “Franco” mine, but it was the idea I think. But the injured wino in jail, making his deathbed confession remained the catalyst of the story over all the years of speculation, writing, and revision. All remained central to the story. Even the “fire burns in his breast now’ … later naturally applied itself to the title: The Fever. It’s ironic I find it right now too, I’d tell y ou … here, right on the cusp of the publication of the sequel to The Fever. I never envisioned an extension to the story, but now there is not only an extension, there is even a third book in the works. All from my decision to take a short break in a bar in San Antonio Texas.